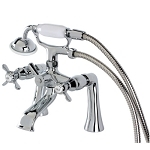 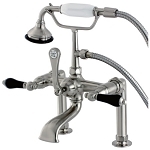 Enjoy your clawfoot bathtub with this deck mounted Restoration Clawfoot Tub Faucet. 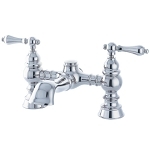 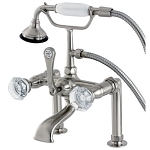 Install this Vintage inspired faucet on any deck mount installation with 7″ centers. 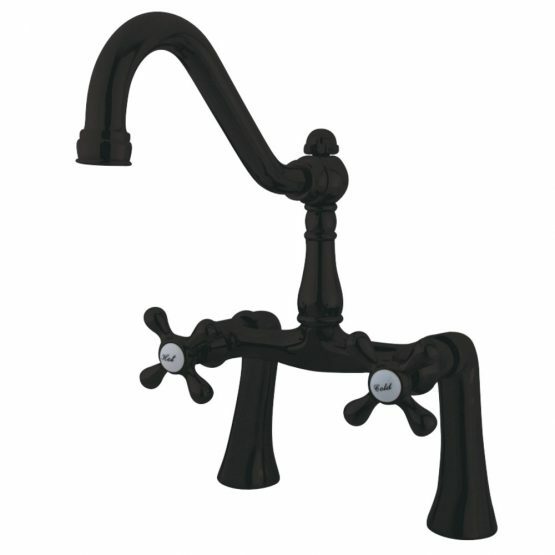 The spout reaches out 8.5″ to avoid any backsplashes. 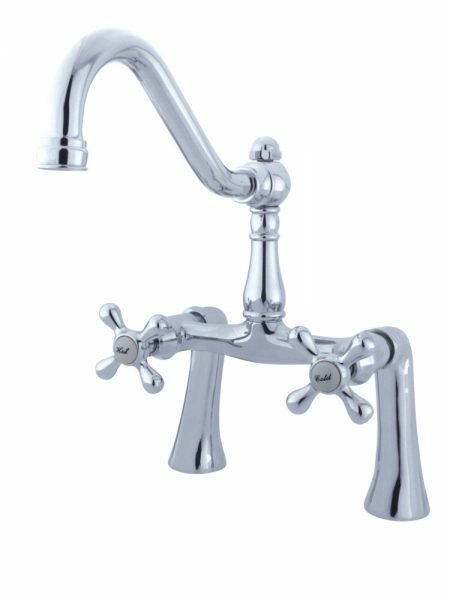 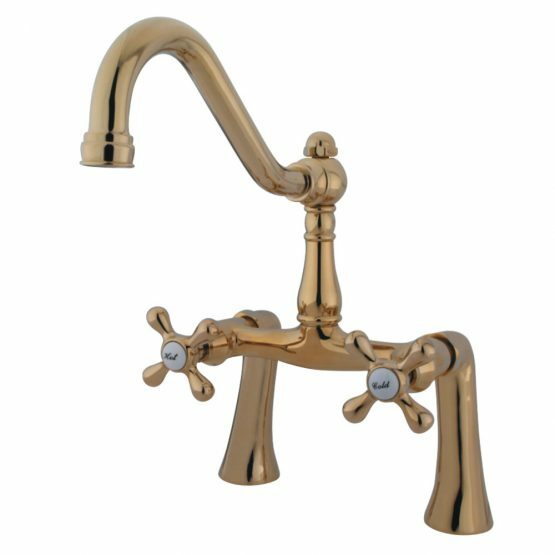 This tub filler is constructed from solid brass and is easy to install. Matches well with other pieces from the Restoration collection.